I went back AGAIN today, but this time I brought my 70 - 200mm lens so I could actually get a little more of the scene in the picture. 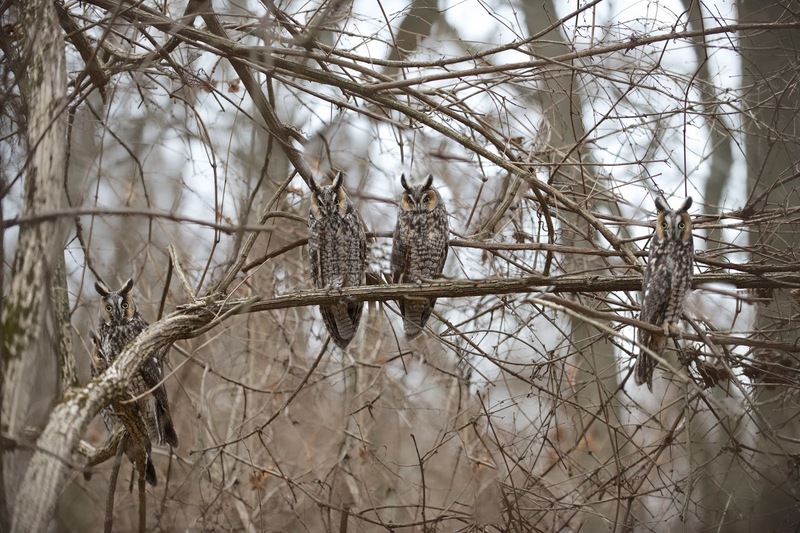 There were two more owls on another branch, but I couldn't get them altogether. Guess I'll just have to go back again!